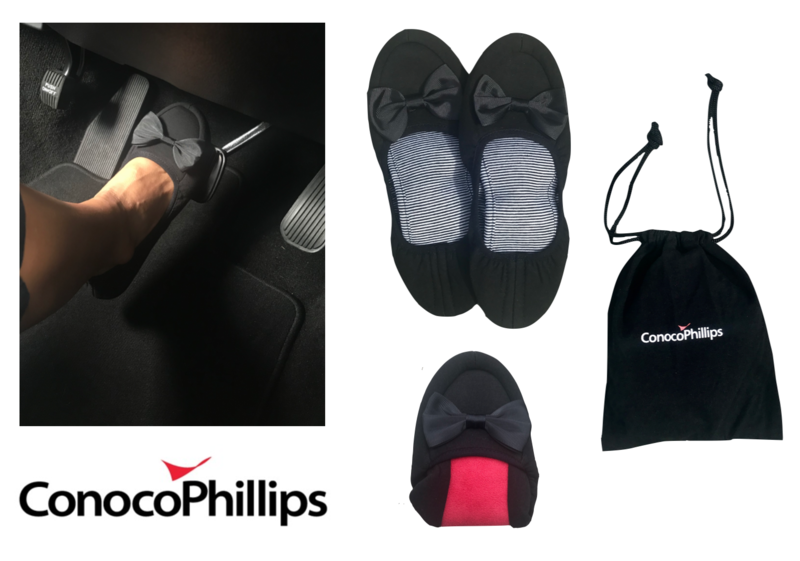 ConocoPhillips was in need of a unique ladies' gift to use as supplier diversity giveaways for the WBENC National Conference. Wearable Imaging helped design and execute custom ladies' driving slippers -- these slippers are perfect for those who want to kick off their heels after a long day at an event. Not only are these slippers safer to drive in than heels, they are also great to slip on at the end of a conference or walking back to your hotel room after a trade show. The slippers themselves are durable, comfortable and stylish. We packaged them in a branded bag to make sure ConocoPhillips would be remembered for this very unique and creative promotional giveaway. ConocoPhillips was very pleased with the finished product and we look forward to working with them in the future!